Check out these purple flowers! I love how 3 shades of purple were included together- the dark purple, the lavender, and the mauve. They also smell so pretty. 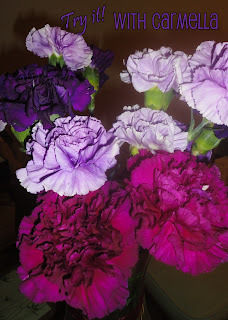 I got them at Stop'N'Shop which is really becoming my favorite flower spot. They have a huge selection. How pretty are these flowers?